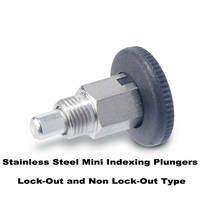 Offered in standard and mini types in variety of inch and metric thread sizes with or without lock-out. 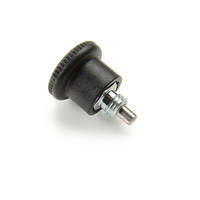 Feature pull knob, which partially encloses the top of the plunger body for a consistent performance. 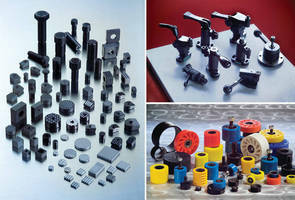 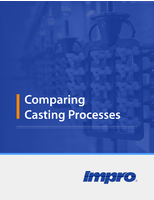 Used in industrial equipment for positioning and holding and in medical equipment for height adjustment. 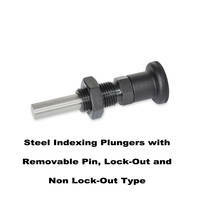 GN 414 Indexing Plungers feature chemically nickel-plated pin. 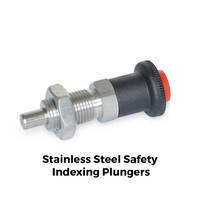 GN 414 Metric Size Indexing Plungers come with stainless steel body that is resistant up to 80°C temperature. 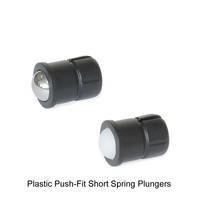 Plungers feature technopolymer plastic knob in matte black-gray and matte red colored safety push button. 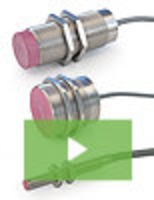 Product meets RoHS standards and come with stainless steel pin in protruding position. 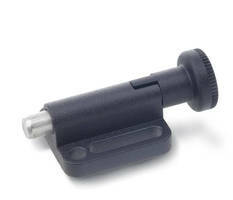 GN 612.3 Indexing Plungers feature matte black technopolymer plastic sleeve. 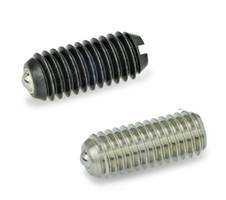 Offering comfortable finger grip, GN 612.3 Indexing Plungers come with 110°C heat resistant plastic ribbed sleeve. 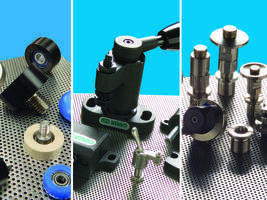 Used in retracting pins, unit’s lever arm can be rotated up to 180°. 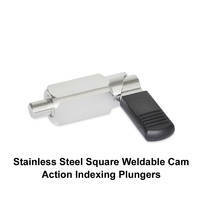 Designed with stainless steel housing, plunger pin and spring, plunger’s groove allows lever to be held in retracted and non-retracted positions. 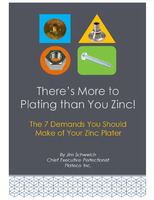 Zinc Die-Cast Indexing Plunger Latch Mechanisms comes with rest position.